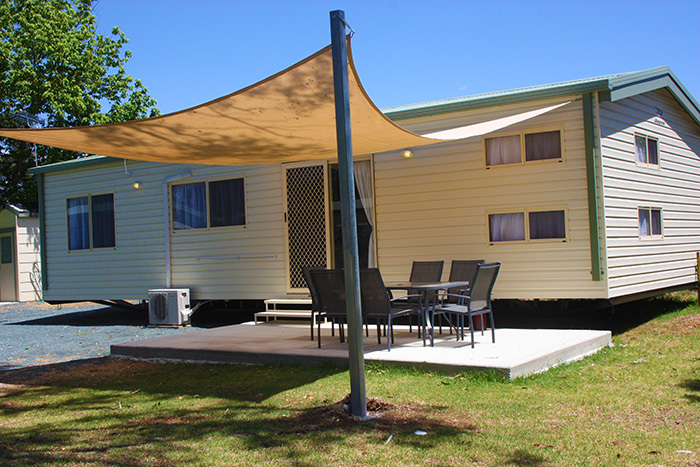 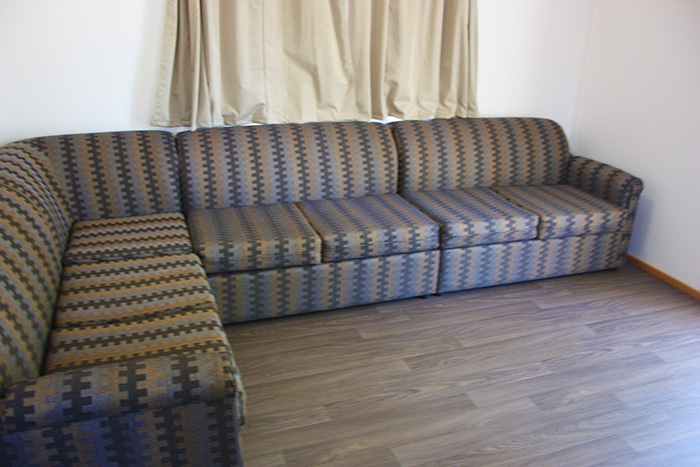 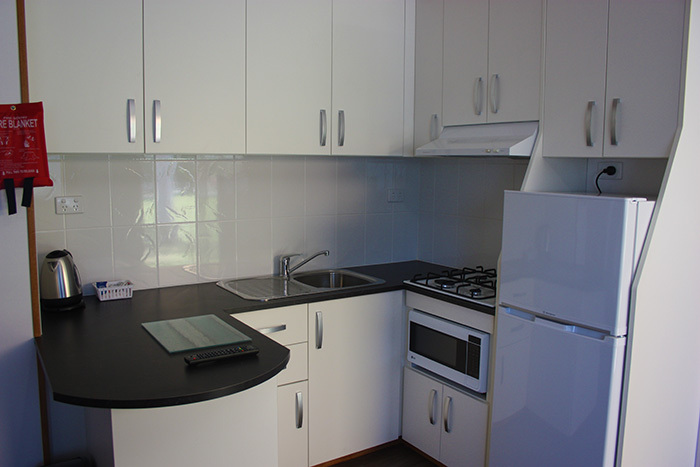 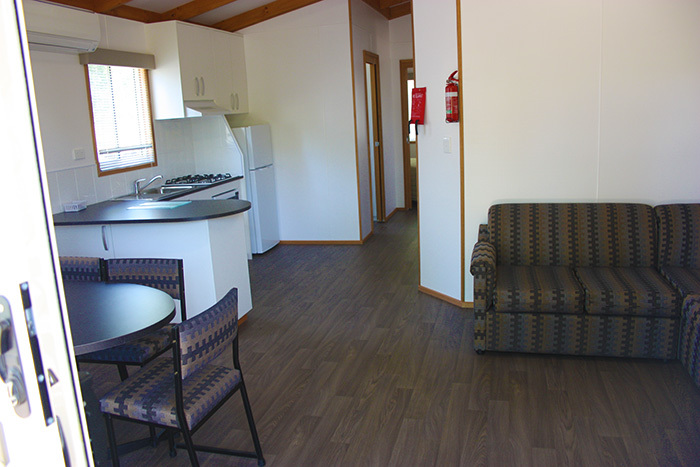 These very large modern 3 bedroom units are designed to suite larger group bookings and bigger families. 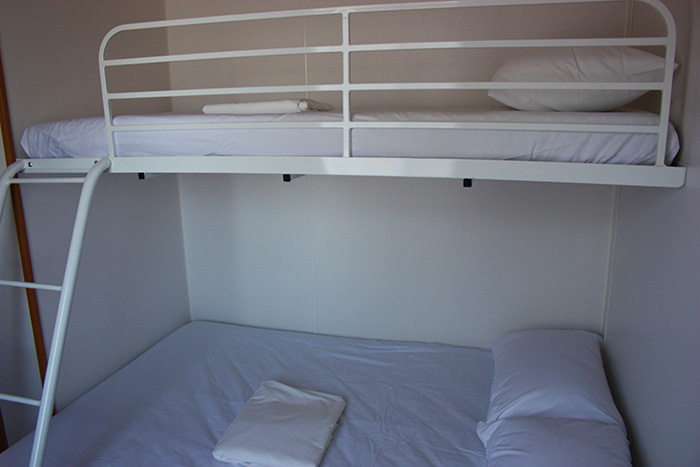 the other room with a double bed and single bunk. 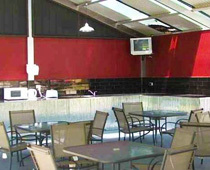 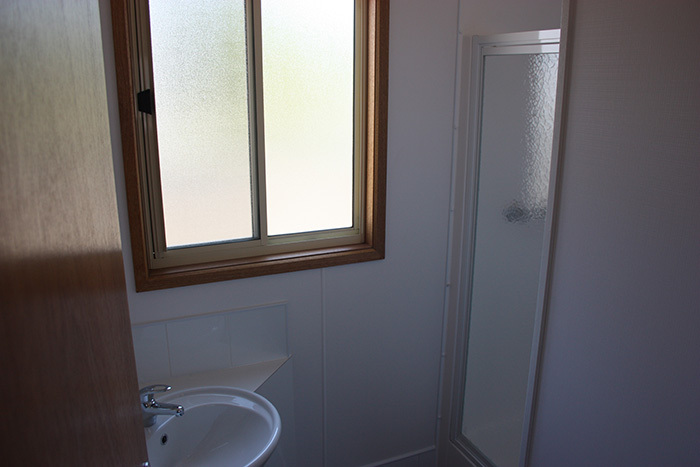 It also has two bathrooms, two separate toilets, large open kitchen and a dining and lounge area. 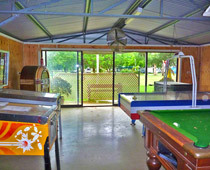 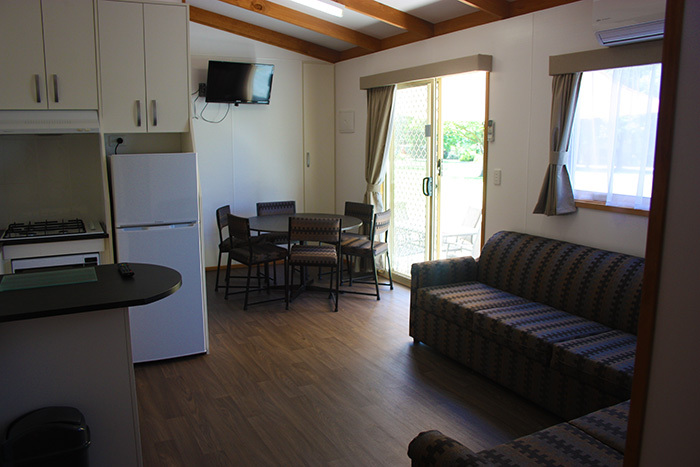 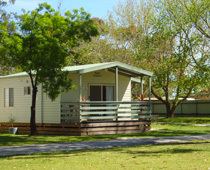 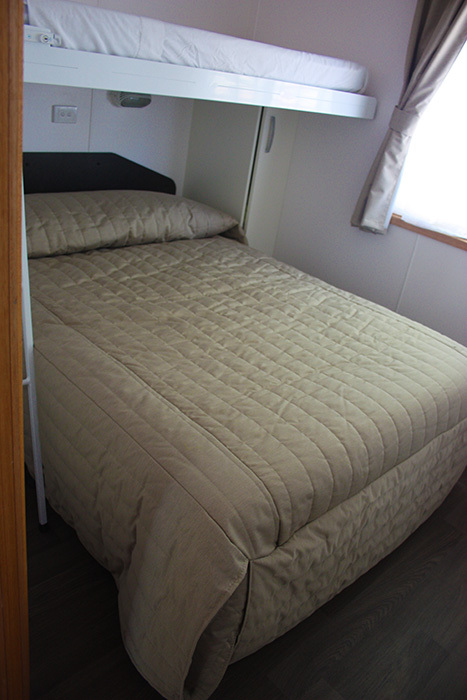 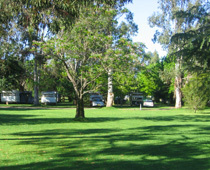 The cabin can comfortably accommodate eleven guests, with all linen provided. 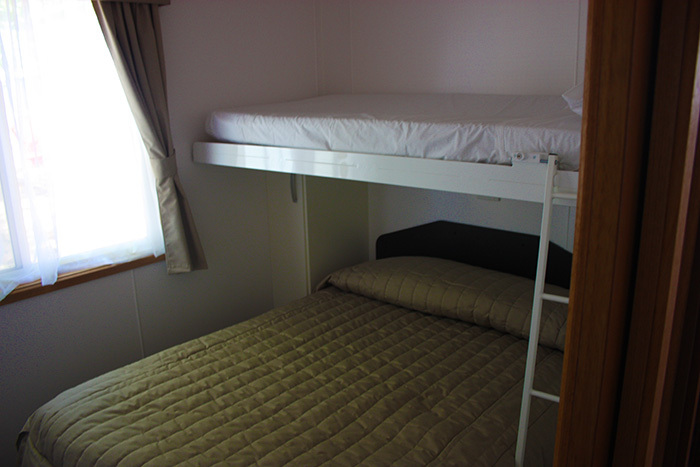 Our other 3-bedroom Deluxe Cabin has 3 queen-sized beds, one in each room, with a fold down bunk bed. 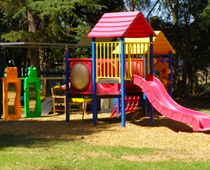 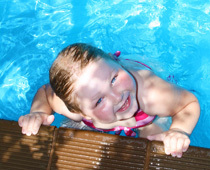 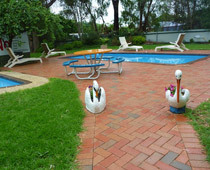 Ideal for couples who wish to share, or familys with older children. 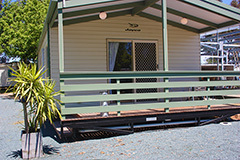 It can comfortably accommodate eight guests. 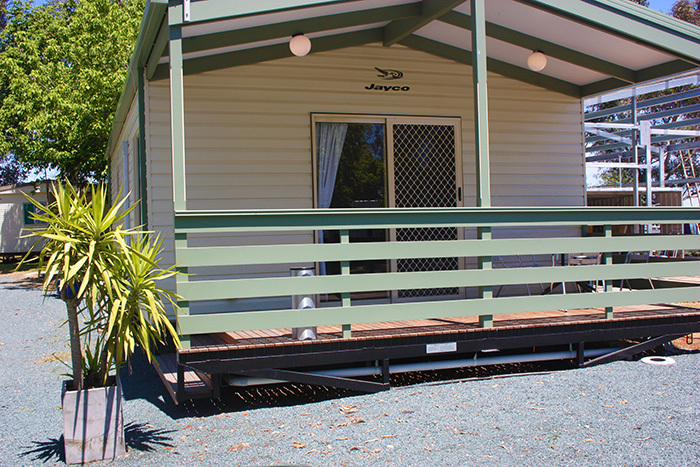 Everything you could need to enjoy a relaxing holiday.